Car keys, cell phone, pocket knife, granola bar, sunglasses ... you've got so much on-the-go gear! 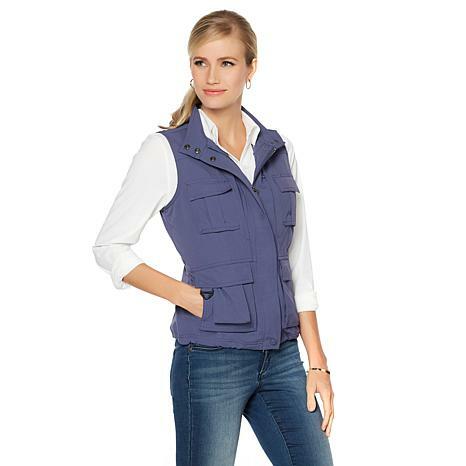 Have a place for everything with this utility-style travel vest. With 15 pockets and a rugged yet streamlined design, you'll reach for this travel must have for hiking excursions, fishing trips, theme park adventures and so much more. I own 2 of these vests and they are great for running around town doing errands or traveling. The multiiple pockets are so handy and keep things organized. Velcro closures prevents things from coming out. I love it, nice to find one in red. The collar felt stiff and scratchy so I washed it, now it fells fine. And it washed well. This vest is awsome. I wear a size large and so I ordered in xlarge and it fit's me. 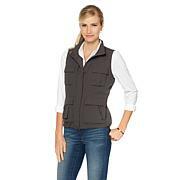 I will order it in diffrent colors as I like it so much.This is one great vest. So many pockets, will probably never find uses for them all, good all around vest for casual wear. Best idea ever, love the ability to go out and about without a purse. So impressed with this product, I ordered two more as presents for a couple of my siblings. Will eventually have my whole family wearing this. Remind me about Destinations upcoming shows.